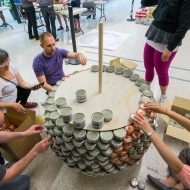 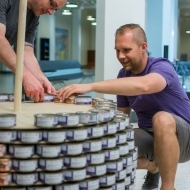 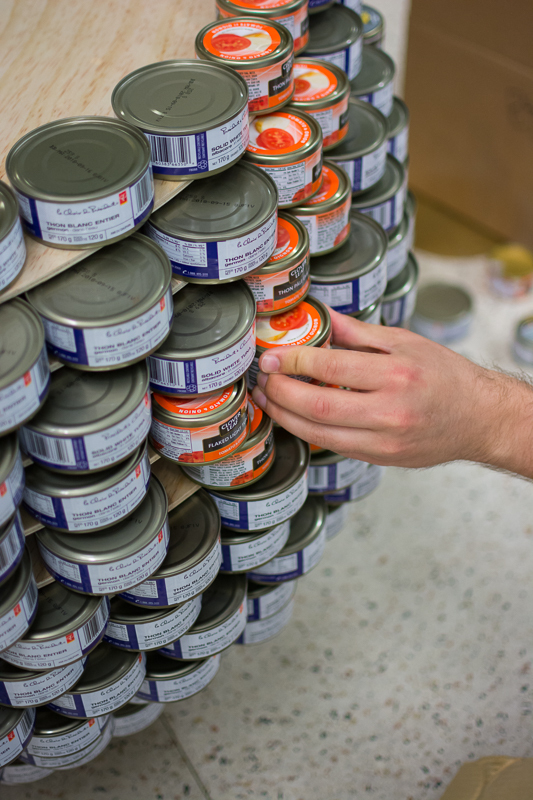 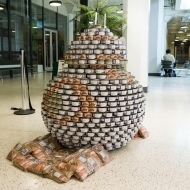 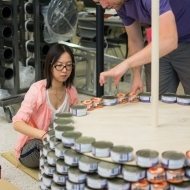 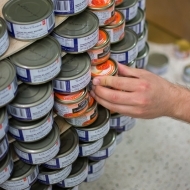 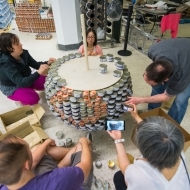 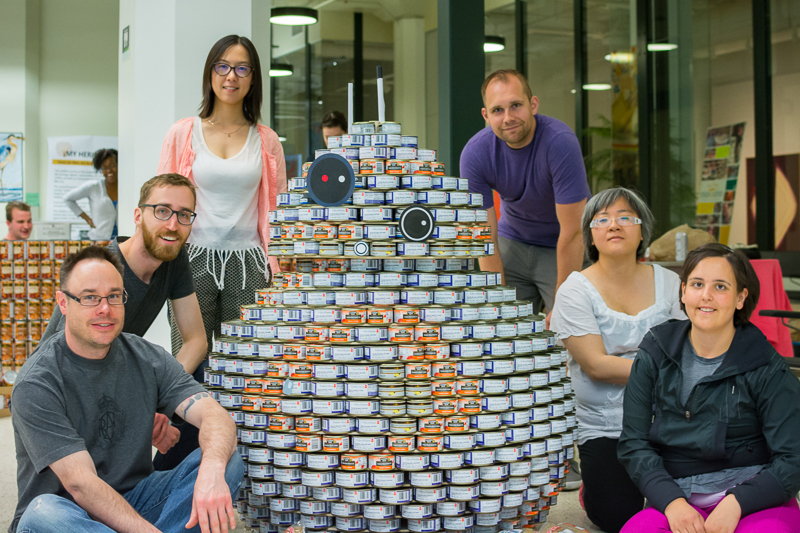 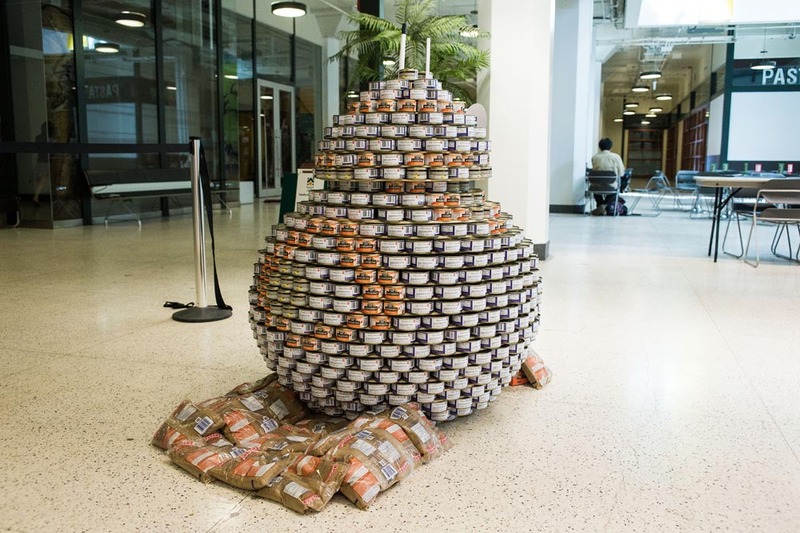 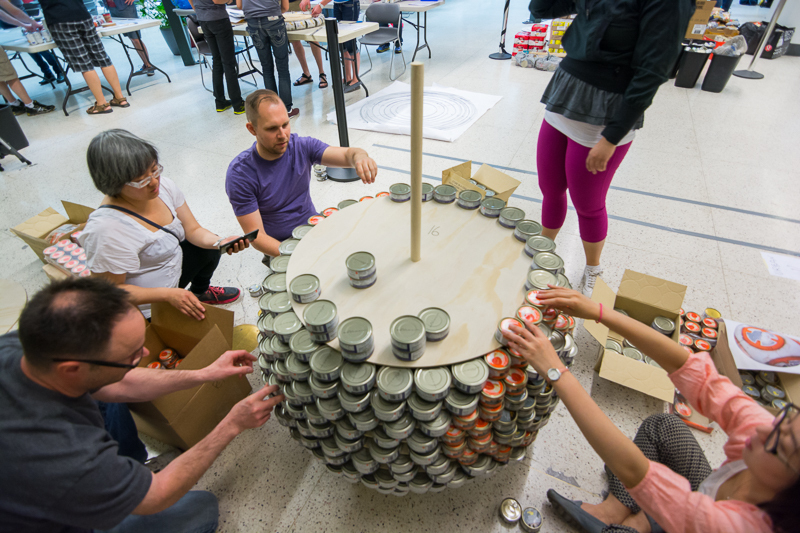 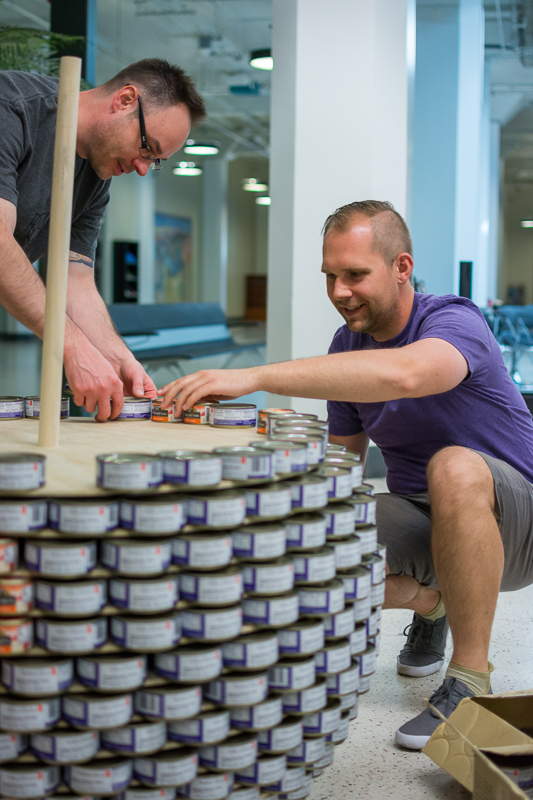 Home « Gallery « 2016 Competition « Urban Systems Ltd.
A replica of the BB-8 droid from Star Wars: The Force Awakens, made entirely out of tuna stacked in a spherical shape. 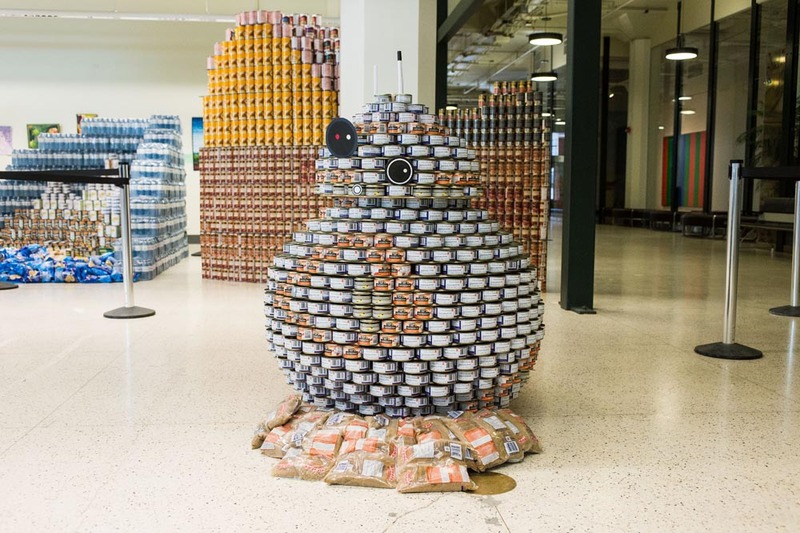 BB-8 is the newest droid in the Star Wars universe, and the most popular since R2D2. 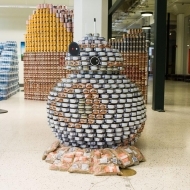 It might seem like BB-8’s purpose is to help the Resistance, but in reality, it only wants to help feed the galaxy. 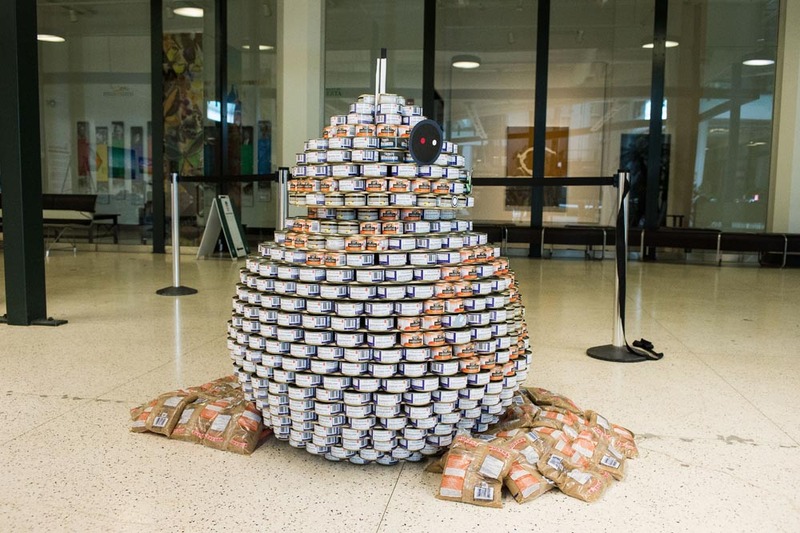 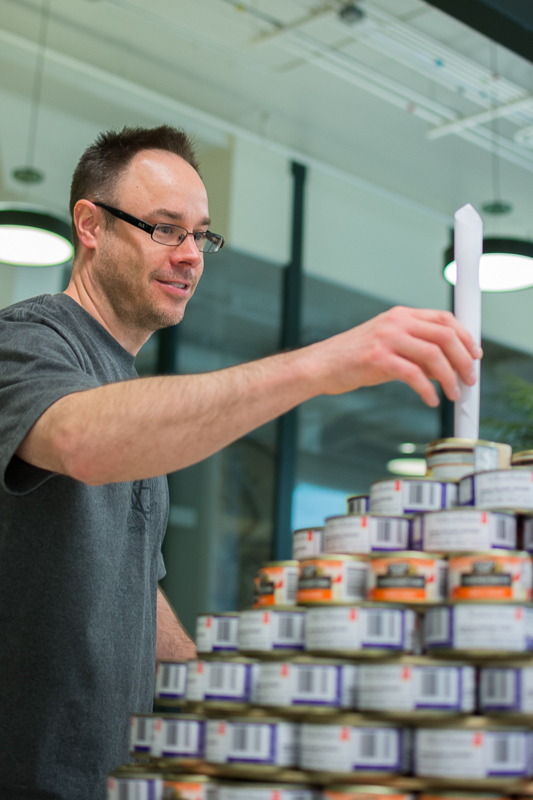 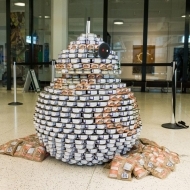 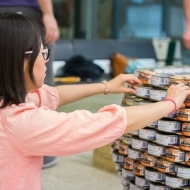 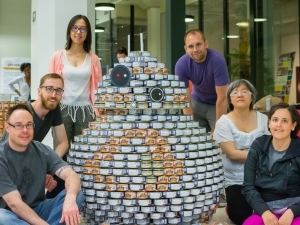 As you can see in this 100% accurate replica, BB-8 is made entirely of canned tuna. 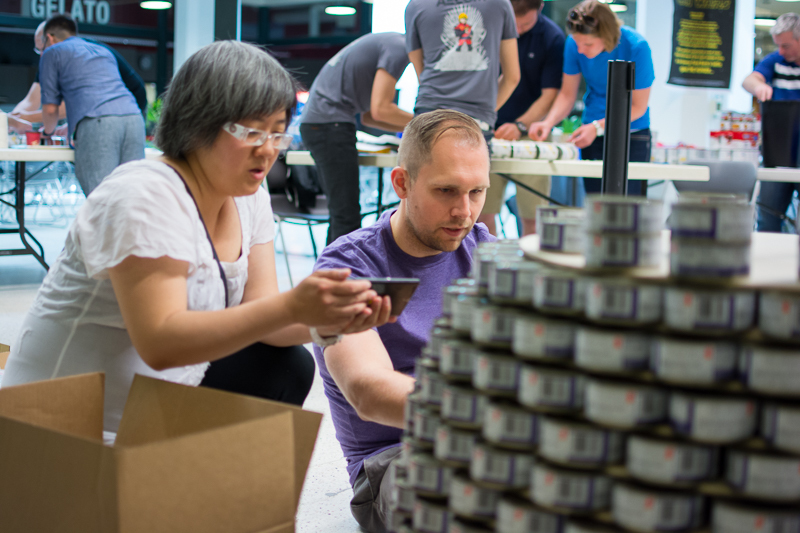 But stand back, because it could roll away at any time to deliver food to those in need. 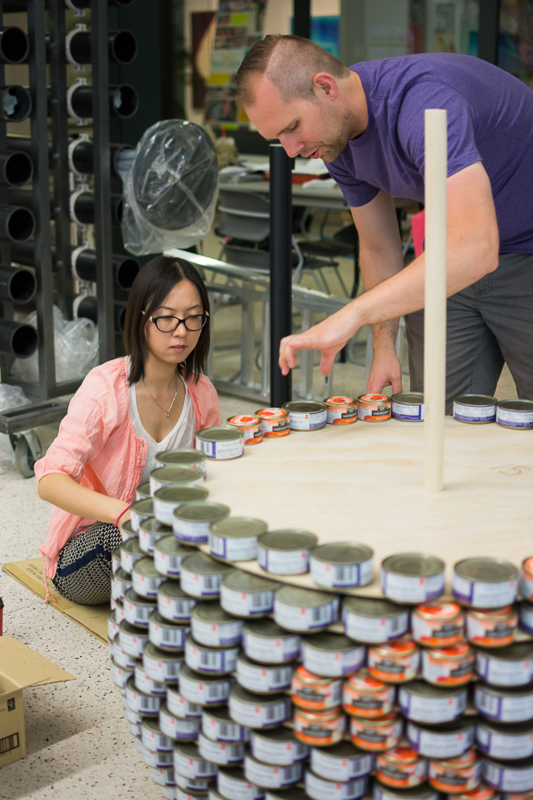 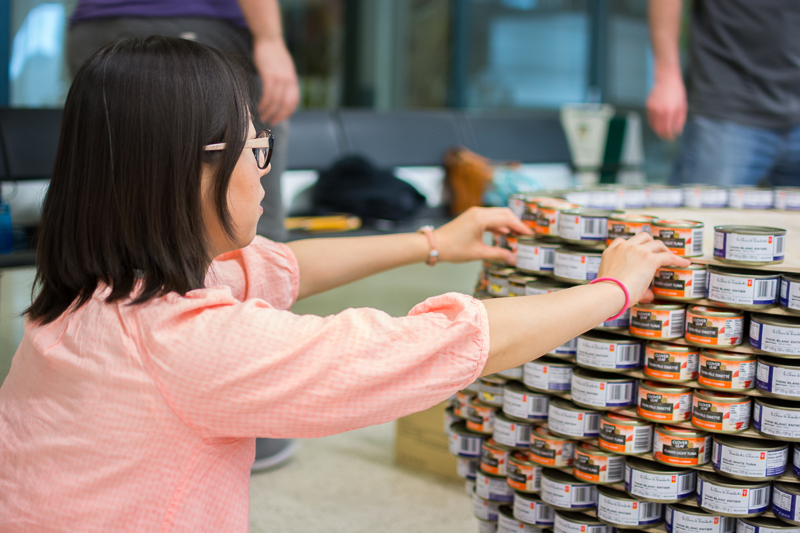 Special Thanks to our other team members: Dan Yin, Elaine Murphy, Jingjing Dou, Laura Creswell, Linda Tiet, Nic Abarca. 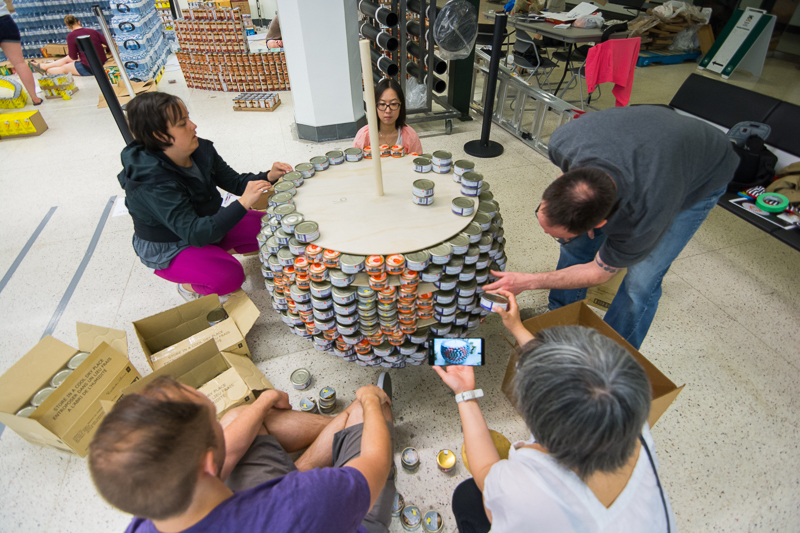 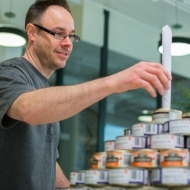 Special Thanks to (supporters): Rockliff Pierzchajlo Architects & Planners Ltd., Nilex, Shoppers Drug Mart #323 Mission Hill Plaza St. Albert.